The Information Committee utilizes the latest information technology of countries along the Silk Road to build a platform so as to help SRCIC members share information, propel interaction through information, and enhance exchanges through information. By making information as a powerful tool, the Committee moves forward on driving the world economic and trade development, and sharing the dividend of information technology with countries along the Silk Road. Mr. Zhao Kangning is an expert in satellite navigation. He is the Deputy Director of Data Center of China Beidou Navigation System and the President of Beidou Industry Promotion Committee of China Communications Industry Association. Mr. Oleg Sytnyk is the President of Ukrainian-Chinese Friendship Association. Currently, he is one of the leading people behind development of the model, financial budget, and web interface of E-SILKROAD - an international B-2-B social network with an integrated online investment platform. 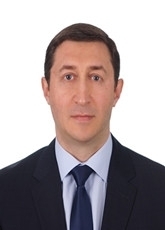 In addition, he is the Chief Manager of eSilkroad Development for Europe and Central Asia countries. 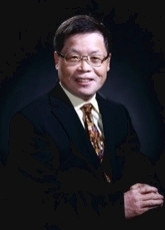 Wang Yonggang, the distinguished professor of College of Artificial Intelligence at Xi'an Electronic Science and Technology University (XESTU), received his PhD degree from XESTU in 2006. He has been engaging in the research of Beidou Satellite Navigation and Location Service, Big Data, Intelligent Information Processing for 20 years or so. He has participated in scientific research projects including 863 projects of China, China Post-Doctoral Fund, Chinese National Natural Science Foundation projects and National Science and Technology Support Plan Project. He also served as project manager, R&D manager and technical director in enterprises with rich experiences in large-scale project management and R&D. Some IT systems for Bank of America, Nestle, McDonald's, Lowes were designed by him. 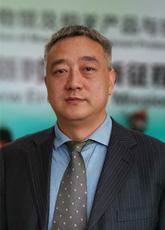 He is currently the standing director of associations of China Satellite Navigation and Positioning Association (CSNP), Shaanxi Big Data Industry Alliance, Shaanxi Safety Industry Alliance and Shaanxi Signal Processing Association.